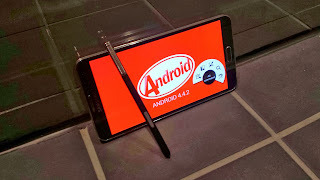 The guys at Sammobile have managed to get their hands on a Samsung official Kitkat 4.4.2 test firmware. The new ROM shows some minor improvements in the visual appearances from the Jellybean ROMs. The new ROM is made for the LTE enabled International version of the Note 3 (N9005). If you are interested in getting this now you can get over to the firmware page on Sammobile.